While some schools are trying to fight the menace of social media by banning smartphones and securing their networks, others are attempting to use social media to improve the educational system. It’s no surprise that many students use social media, but it seems odd that teachers are not making use of this amazing tool. 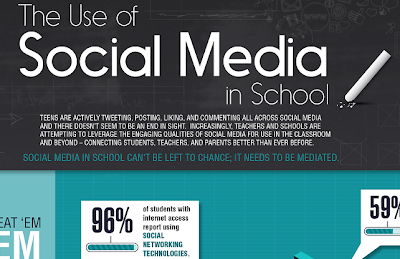 Social media is such a commonly used tool that could really benefit the educational system. Unlike other tools that are infrequently used or embraced by students, about 96 percent of students have and regularly use a social media account. Not only that, but nearly 60 percent of them talk about school. Of that 60 percent, 50 percent are actively discussing schoolwork. This means that about 30 percent of students are talking about schoolwork without any prompting. Teachers can create specific blogs or social media pages where students can speak with the teacher after school is done. This is also a great place to post homework assignments. Parents can use social media to access the teachers to see how their children are doing. This also increases transparency and makes the parent part of the educational process. Students will learn the important art of networking, which is expected of them if they want to enter a professional field. They will also be able to easily complete group work and directly speak with teachers. 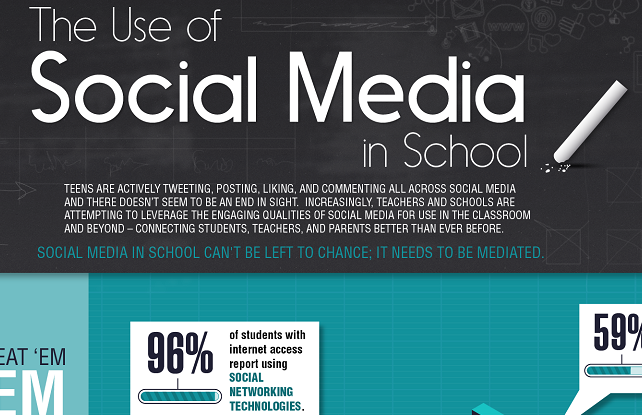 There are four main social media outlets that are being used by schools. Facebook is being used as a general outlet where teachers can create their own pages. Teachers are also using Facebook to share updates, homework assignments and as a general meeting ground for everyone. Pinterest is being used for visual sharing. Teachers can pin a student’s work or project to their board. Twitter can be used for small reminders and messages. Some teachers are also using it to post lesson recaps. Blogger is also being used. While it’s not a social network, blogging is a very social activity. Blogger allows teachers to make class blogs. They can also ask students to write guest posts, which can be very useful for the student. While social media is viewed as a curse by some schools, others are using it to motivate students. The truth is that social media is widely used. It’s in a school’s best interest to make use of this tool to help improve students.